We recently had the honor of hosting the Mercedes-Benz Club of America, Greater Washington Section for a Mercedes-Benz Repair Open House. 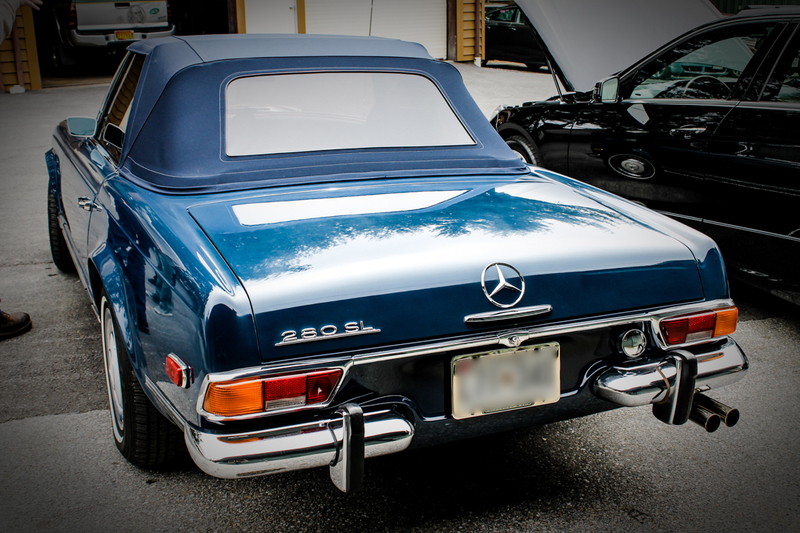 MBCA Club members brought some amazing cars, one of them being a 1970 Mercedes-Benz 280SL W113 Pagoda. “W113 Pagoda’s always get attention at our events,” said William West Hopper, Eastern Regional Director for the MBCA. 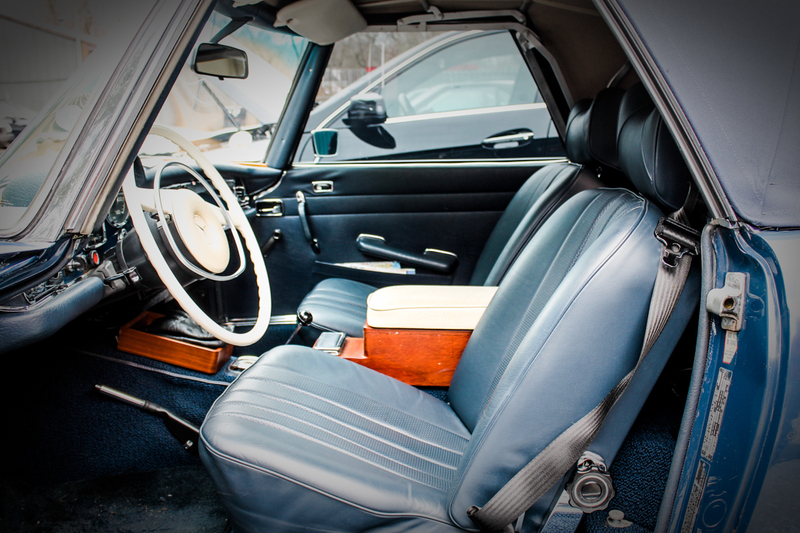 2013 will make it 50 years since the first W113 was introduced at the 1963 Geneva Motor Show. 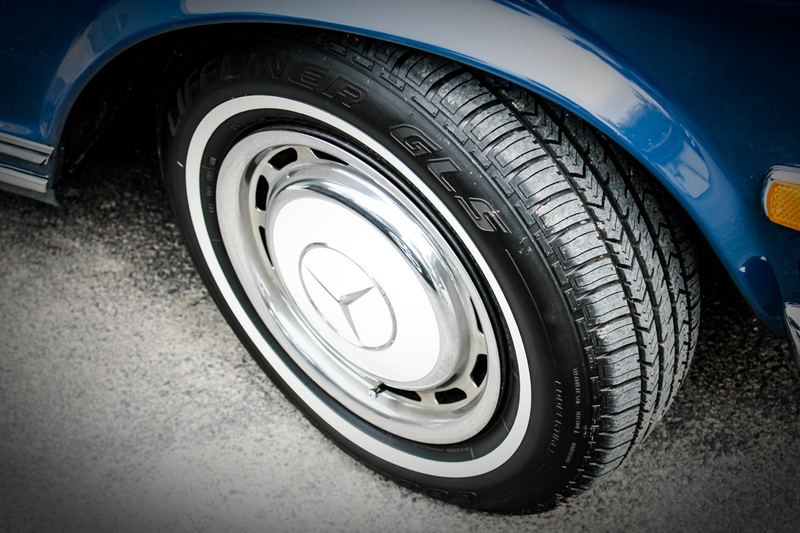 The Mercedes-Benz 280SL W113 “Pagoda” got its nickname from the unique, patented, slightly concave top. 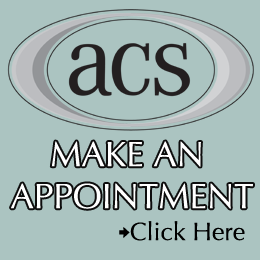 At ACS, we have a real appreciation for restoring classic vehicles, as many of us do it as a personal hobby. 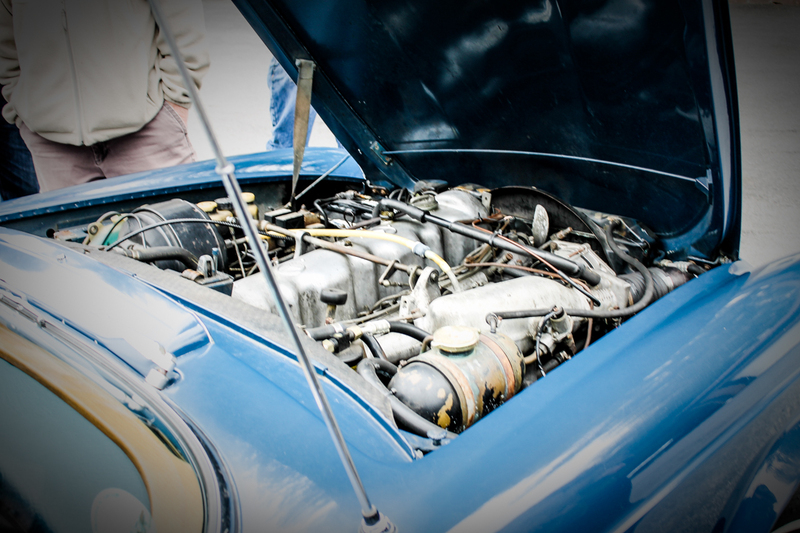 From finding the proper parts to staying within a specific budget, restoring a vintage car is a big decision. Yet, it’s also a decision that brings hefty rewards. It’s a well-known fact that most cars depreciate the minute you take them off of the lot. However, one of the great things about a properly restored Mercedes-Benz is that it can appreciate in value over the years, making it a wise (and fun) investment. Of course, the exact level of appreciation your restored vintage car will achieve depends on the model you’ve chosen, the quality of the restoration, and how well you care for the car after it has been restored. Rather than cycling through low value used cars over the years, spend a little more now to restore your vintage Mercedes-Benz and enjoy the many future perks. 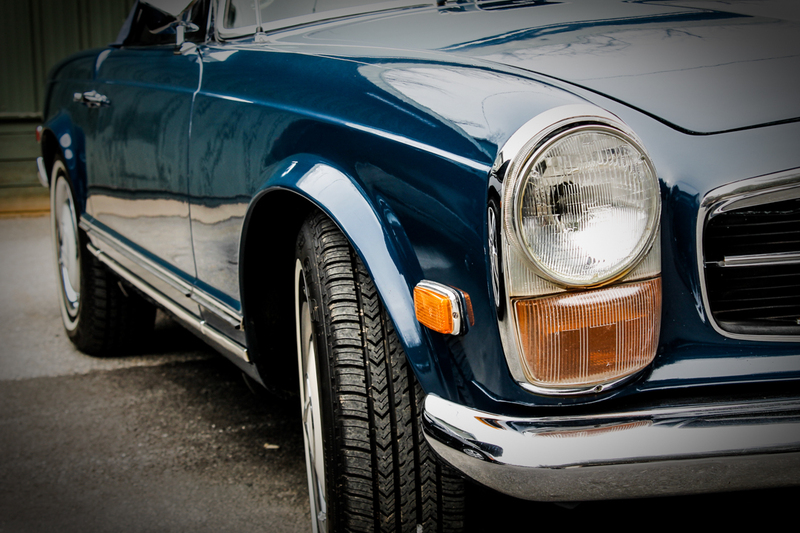 Most classic car owners focus mainly on the financial aspects of a classic car restoration. How much will the restoration cost? How much will the vehicle’s value appreciate over the years? Of course, these are important questions to ask, but you should also focus on the surprising social benefits of restoring your Mercedes-Benz 280SL W113 Pagoda. Owning a properly restored and maintained vintage car sets you into a prestigious class of auto owners and brings the potential for an entirely new set of friends. 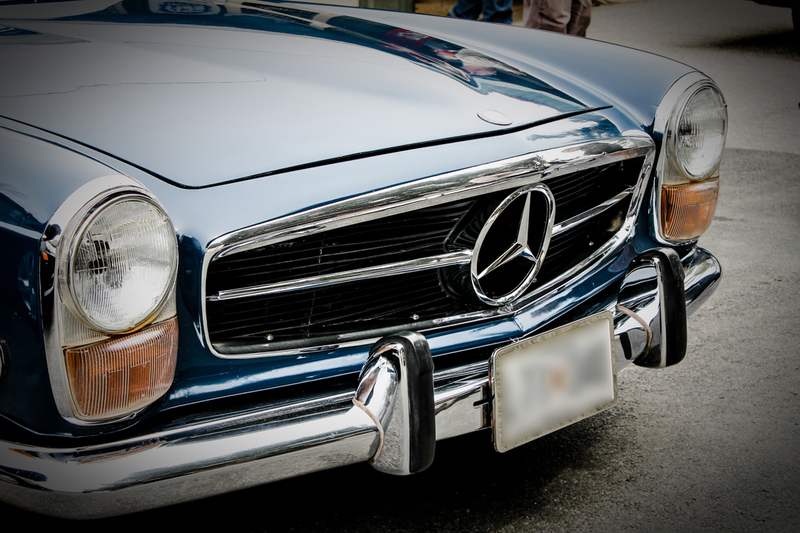 After restoring your car, consider joining a local or national classic car club like the Mercedes-Benz Club of America. These groups allow you to showcase your restoration handiwork while meeting new people that may become lifelong friends. While you may be eager to save more on your car’s restoration by finding deals on car parts, don’t overlook the importance of verifying the authenticity of those parts. Scammers run rampant in every industry, including among sellers of car parts. To ensure authenticity of the parts that you purchase during the restoration process, assess such factors as the seller’s reputation, the cost of the parts, and more. If a deal seems too good to be true, it’s more likely to be a scam. To save yourself time and money, have the restoration completed by certified professionals. Contact a Mercedes-Benz Certified Collision Center like ACS, and we will ensure that only genuine Mercedes-Benz replacement parts are used to restore your vehicle. The Mercedes-Benz W113 280SL is a classic car that spurs nostalgia among many vintage auto enthusiasts. However, even if your children don’t share your level of excitement for classic cars, they’ll still likely appreciate the work you put into restoring your vintage Mercedes-Benz. In fact, the car will probably become a treasured family heirloom for generations and will linger as a symbol of your handiwork long after you’re gone. Have all the necessary car restoration parts? If not, avoid scams and substandard parts by consulting a Mercedes-Benz Certified Collision Center like Auto Collision Specialists. Still in the planning stage of your vintage Mercedes-Benz restoration? Click here to contact us. 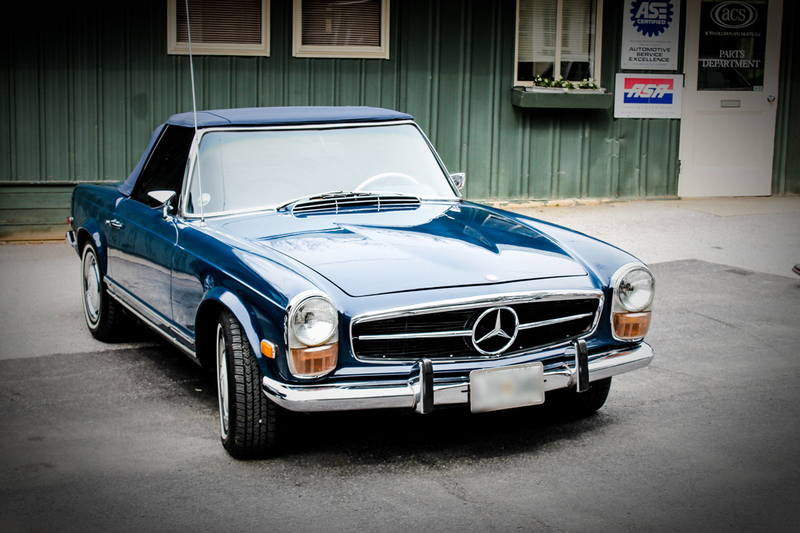 As the trusted place to take your vintage Mercedes-Benz, ACS employs a range of car care professionals that share your love of classic cars.